As we look into the future, we do so with great hope and enthusiasm for our parish! With God’s blessing, a brighter future awaits our community. 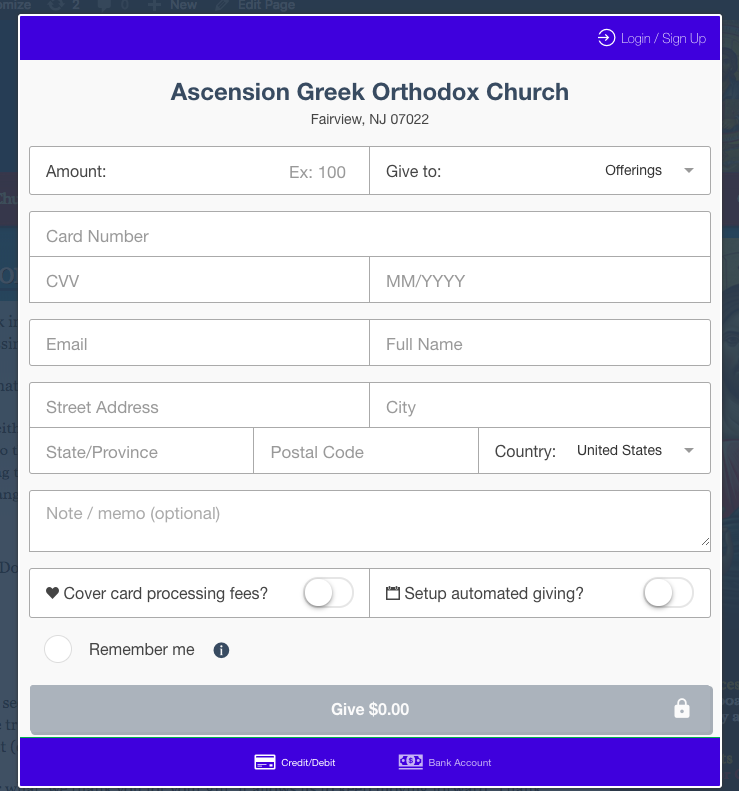 Click this Donate button and give to the work of our church. Using our secure donation popup, you can set up monthly donations as well as covering the cost of the transaction, either via direct deposit from your checking account or by using your credit (or debit) card. No matter what, we thank you for your gift, it allows us to keep moving forward. Thank you.